EFT stands for Emotional Freedom Technique and is also referred to as Tapping. It is a powerful mind-body therapy that offers a quick and effective method of releasing emotional blockages, limiting beliefs or psychological stress, and is fast becoming one of the most popular forms of Energy Psychology. It draws on the theories behind acupuncture, neuro-linguistic programming (NLP) and energy medicine. The cause of all negative emotions is a disruption in the body’s energy system. Whenever we experience a traumatic event it triggers negative emotion and creates an imbalance in our body’s energy system. Over time this can lead to emotional or physical disturbances such as depression, anxiety, weight gain or phobias. It can also lead to physical symptoms such as backache, anxiety, asthma, panic attacks and much more. EFT releases negative emotion by tapping with the fingertips on a series of points around the body that correspond to acupuncture points on the energy meridians; whilst psychologically focusing on the specific event or emotion that is causing the disruption. Meridians are energy channels that run throughout the body and are connected to all the major organs and systems. When an acupuncturist works with a client, they release the energy blockage with the use of needles. In EFT, the blocked energy is released by tapping specific acupuncture points with the fingertips instead. EFT is non-invasive, easy to learn and easy to adapt and apply for personal use. 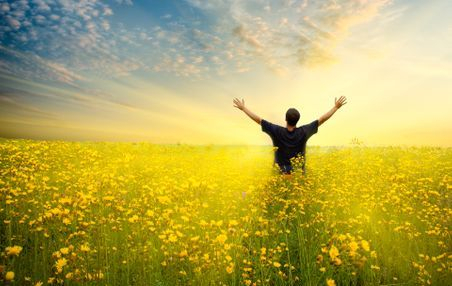 It is a personal empowerment technique, fast becoming one of the most popular self-help tools available for clearing physical and emotional blockages. With the help of a professional therapist EFT is an extremely powerful and fast working therapy for releasing deeply traumatic and painful memories and events. 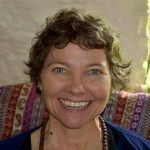 Suzi runs a private therapy practice in Kingsbridge, South Devon and is completing a Masters Degree in Death, Religion and Culture at Winchester University. She is an experienced Soul Midwife (End of Life Doula), Counsellor, Life Coach and Trainer.